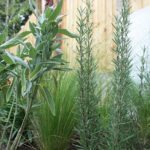 Planting aromatic evergreen herbs into the garden is a lovely way of introducing culinary plants for you to include in your cooking at home. As a garden designer I particularly like to combine edible plants with ornamental plants within a garden border, this just gives that little bit more. These wonderful herbs not only taste great but are evergreen too, which means you will see them in leaf right through the winter months. The highly scented leaves emit their aromatic oils when rubbed between your fingers and lift the senses immediately. How lovely to be able to go out into the borders and plunder for garden herbs. 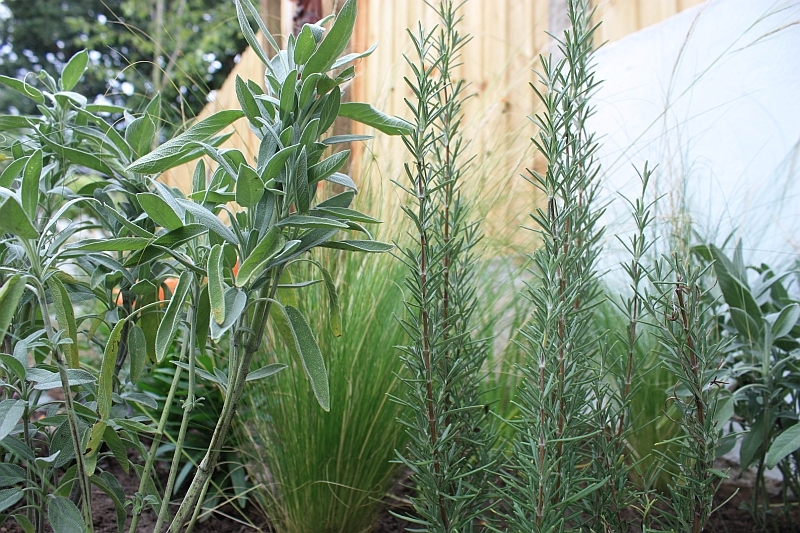 Featured herbs: Rosmarinus officinalis (Rosemary) and Salvia officinalis (Sage). To find out more about my design work visit my website.